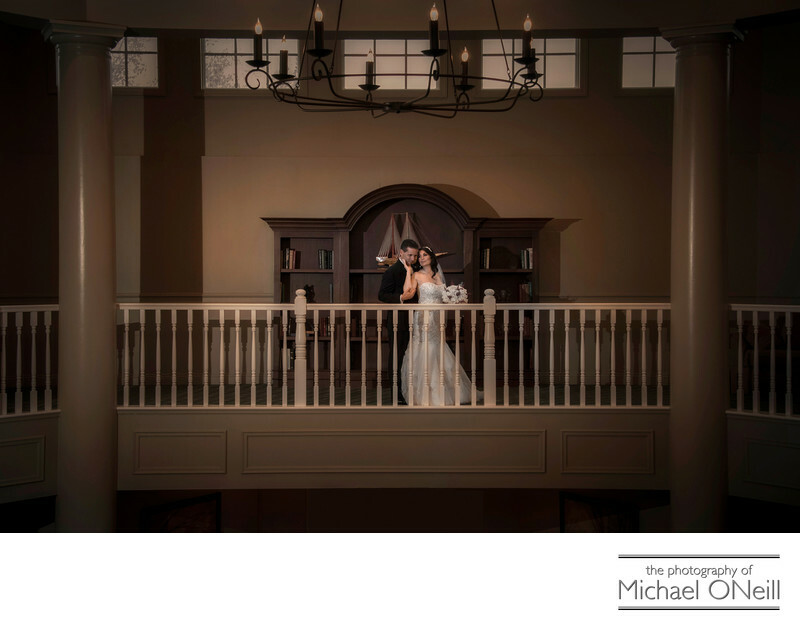 This intimate moment was captured at The Hamlet Golf and Country Club in Commack, New York. This famous venue is the former home of The Hamlet Classic, one of the most prestigious tennis tournaments in the world. Located just a couple of miles from my East Northport, NY studio The Hamlet, owned and operated by Club Corp, has been the site of many weddings that I have photographed throughout my career. The grounds outside this building are magnificent. The patio overlooking a small lake on the golf course is the perfect setting for an outdoor cocktail hour. Unfortunately on this wonderful couple’s wedding day the remnants of Hurricane Matthew made it’s appearance at The Hamlet marked by heavy rains and strong gusty winds. I am often asked by my clients what I will do in the event of inclement weather on their wedding day. I usually say "…a great job…". A great wedding photographer will create beautiful, memorable images for you regardless of the weather. In over thirty years as a professional NYC and Long Island wedding photographer I have witnessed every imaginable weather condition from hurricanes, to blizzards and everything in between. Inclement weather calls for a fresh set of eyes, the right equipment, a skilled photographic assistant and a positive outlook. With the combination of all of these your photographer will be able to create masterpiece photographs for you regardless of what Mother Nature throws your way.